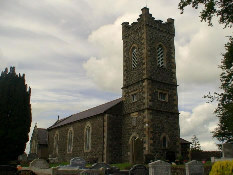 Lineages 1 and 2 have been traced back to the Tartaraghan parish area of County Armagh, Northern Ireland, in the early 1800s. Some descendants of Lineage #1are known in New South Wales, Australia, and descendants of Lineage #2 in South Australia to the present. John Robinson, farm labourer from Grange Onella [most likely the parish of Grange, part of which lies in the barony of ONeilland], County Armagh Northern Ireland, was the son born c1828 to HENRY and SARAH ROBINSON (both living at Tartaringham in mid-1854). John married Phoebe Williamson (or Williams) in Ireland during 1852, the marriage being registered at Lurgan, Co Armagh. 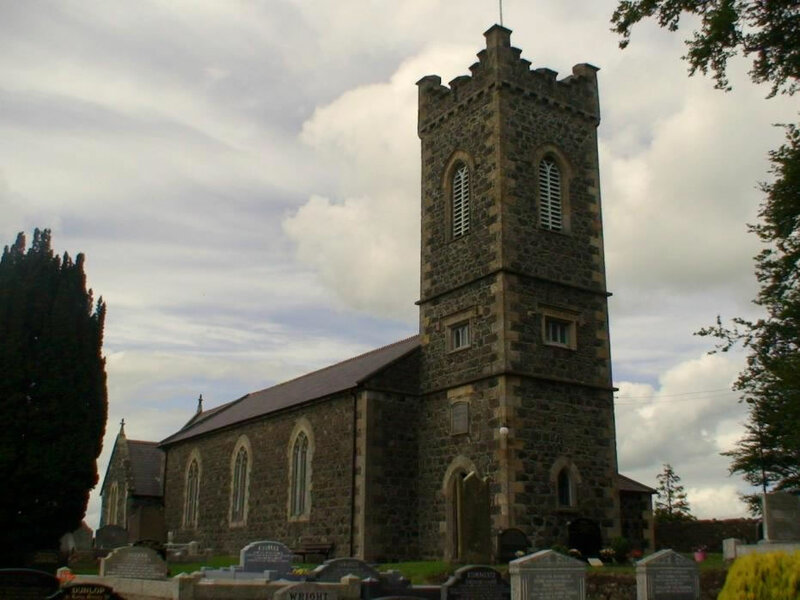 Phoebe, the daughter of farmer JOHNATHON WILLIAMSON and his wife SARAH IRVINE (both deceased before September 1854), was born c1824 at Tartaringham on the southern shores of Loch Neagh, Co Armagh (near Portadown). HENRY ROBINSON (born 1861 Duckmaloi NSW, died 1946, Sydney; married Agnes Christina Isabella Ponton in 1889 at Manly NSW; three known children). Also aboard the Lady Kennaway was Phoebe's sister Sarah Williamson, listed as a domestic servant aged 33 years, from Derrycore Co Armagh, daughter of John and Sarah (both deceased), CoE and able to read; her implied birthdate would be 1821. Phoebe Robinson died of old age at her home at Back Creek near Oberon NSW on 11 January 1890, aged 66 years. John Robinson remarried, c1892 aged 63 at Oberon, to Hannah Cole; there was no issue to this marriage. John, farmer of Caves Road near Oberon, died near Oberon on 13 April 1899, aged about 70 years. Possibly related, a Mary Jane Robinson married farmer Robert Todd on 11 March 1858 in the Parish Church at Tartaragham. The marriage, performed by George Robinson, was witnessed by James Carrick and William Williamson; all parties were able to sign the register. The bride was the daughter of farmer George Robinson of Eglish, and the groom the son of Wolsey Todd of Foy. Sarah Robinson, first child of JOHN ROBINSON and PHOEBE WILLIAMS(ON), died at sea in the Lady Kennaway, en route to Australia; the same voyage saw the birth of her sister Mary Jane. Mary Jane Robinson, born circa August 1854 at sea en voyage to Australia aboard the Lady Kennaway, was the daughter of JOHN ROBINSON and PHOEBE WILLIAMS(ON). A spinster residing at Duckmaloi east of Oberon, Mary Jane married bachelor farmer William Batcheldor, bachelor farmer, at her parents' home on 21 November 1878. William, born 1852 in Warwickshire ENG, was the son of JOHN BATCHELDOR and JANE WORRALL. ERNEST OSWALD BATCHELDOR (born June 1896 (or 1895); death on 15 February 1969 registered at Oberon; marriage to Violet Elizabeth Josephine Callaghan at Oberon registered at Stroud NSW in 1919; three issue). EUNA VICTORIA BATCHELDOR (born 1900, died 1936; marriage to Joseph R Hawken (brother of Lancelot) registered at Oberon in 1920). The death of Mary Jane Batcheldor née Robinson was registered at Oberon in 1916; a 1969 obituary notice for E O Batcheldor stated that 'the deceased's mother was Miss Mary Jane Robinson of Upper Back Creek, Oberon, and later of the Shooters Hill Road property "Bracondale"'. William Batcheldor died 22 May 1929 at Oberon. HENRY CHARLES LUXTON (born circa 1880, died 29 August 1946, aged 66, buried with his mother). The death of Susanna Luxton née Robinson, aged 23, daughter of JOHN and PHOEBE on 28 September 1881 was registered at Lithgow: she was buried in Oberon's Old Methodist Cemetery. MERYL JANE LUXTON (birth registered in 1908 at Lithgow; death on 29 November 2008, aged 100, 'late of Murrurrundi', noted in Tamworth's Northern Daily Leader on 3 December 2008 and the Scone Advocate the next day; marriage to Stanley W Teys registered at Burwood in 1930). The 1930, 1933, 1936 and 1937 NSW Electoral Rolls shew Joseph Henry Luxton [labourer] and Elizabeth Catherine Luxton [home duties] at Montrose St., Quaker's Hill, in 1943 Joseph [——] is listed at Montrose St., Quaker's Hill and at 24 Elizabeth St., Mayfield, in 1949 Joseph [no occupation] is listed at 605 Great North Rd., Abbotsford [no occupation]. The death of Elizabeth Catherine Luxton, daughter on NEIL and MARY JANE, was registered at Mayfield in 1943. Joseph's death was registered at Five Dock in Sydney in 1952. Joseph's brother Thomas Luxton married Mary Selina Sloggett in 1878. John Robinson, fourth child and eldest son of JOHN ROBINSON and PHOEBE WILLIAMS(ON), was born in 1859 in New South Wales. John died at Portland NSW in 1927. VIOLET E ROBINSON (birth registered in 1898 at Richmond; married Cyril M.T. Lee and they had a daughter Nancy Lee who apparently married an American sailor). Henry was buried/cremated at Rookwood Necropolis on 20 May 1946. Agnes died at nearby Auburn Hospital on 29 July 1951, and was buried/cremated at Rookwood two days later; her death registration, made at Petersham, noted her father as WILLIAM. Lynn [per eMails 18apr2011, 09jul2013] contributed details regarding Francis and Violet. OWEN ROBERT HENRY ROBINSON (born 1931 at Woolarah NSW; died 2010, Roselands; married Edna Eileen Ayres on 21 April 1956 at St Thomas Anglican Church, Kingsgrove NSW; Edna died in 2006 at Roselands). George served with the Australian Infantry Forces in World War I, and was disabled. He later worked as a telephone technician, and lived at Petersham NSW. George died at Camperdown Hospital NSW on 31 December 1964. Hilda Robinson née Owen died at Camperdown Hospital in 1991. Ronald Alexander Robinson, born November 1929, New South Wales, was the elder son of GEORGE ALEXANDER ROBINSON and HILDA OWEN. Ronald married Judith May Peterson / Hackney on 25 February 1957 at Petersham NSW. Owen Robert Henry Robinson, born February 1931 at Woolarah NSW, was the son of GEORGE ALEXANDER ROBINSON and HILDA OWEN. The 1954 Electoral Roll shews Owen [electrical fitter] at 19 Croydon St., Petersham North, with George [telephone mechanic], Hilda [home duties] and Ronald Alexander Robinson [operator]. Owen married Edna Aileen Ayres on 21 April 1956 at St Thomas Anglican Church, Kingsgrove NSW. Edna, born 19 February 1935 at Croydon Park NSW, her father had been born 3 October 1906 at Croydon and died 29 October 1968 at Croydon, her mother had been born 2 July 1908 at Rutherglen VIC, and died 14 January 1985 at Burwood NSW; they had married at Croydon on 7 September 1929 and had two children. COLETTE VANESSA ROBINSON (born 1972 at Darlinghurst NSW). Owen, who worked in the electrical trade, lived at Roselands NSW. The death of Edna Aileen Robinson on 17 January 2006, 'late of Roselands', was noted in the Sydney Morning Herald on 19 January 2006. The death on 2 June 2010 of Owen Robert Henry Robinson, aged 79, 'late of Roselands', was noted in the Sydney Morning Herald on 5 June 2010. BENJAMIN ROBINSON (born in Armagh c1821, emigrated to South Australia in 1839, in 1851 married Mary Tiller). James Todd Carrick b: c1799 in Armagh, Northern Ireland. Married Isabella Robinson c1829, children born in Armagh: David, William, James Todd, Sophia, Benjamin, Jane Todd, Charles Todd, Richard. Isabella was the daughter of Richard Robinson and Sophia Ruddle Todd. James Todd Carrick born 1799, married Isabella Robinson (born 1809), lived in Armagh, Northern Ireland. Children: David c1830, William c1830, James c1831, Sophia c1837, Benjamin c1841, Jane Todd c1841, Charles Todd c1843, and Richard 1848. The family arrived in South Australia in 1847, settling in the Noarlunga district south of Adelaide. James Todd Carrick died in 1852, his wife and sons carrying on his publican work. RICHARD CARRICK (born circa 1848). James Todd Carrick died in South Australia in 1852, survived by his wife who died there in 1884, aged 75 years. Presumably regarding James Todd Carrick the younger, the South Australian Register (Adelaide) of 9 March 1852 (p3) noted amongst 'Licences Granted': "James Todd Carrick, Jolly Miller, Noarlunga". The South Australian Advertiser (Adelaide) on 14 March 1860 (p3) reported the Noralunga District Council had on 12 March authorised Publicans' licences to John Clift, sen.. Thomas Dungey, Ellen Potter, and James Todd Carrick. Wikipedia [accessed nov2010] notes "In 1850 the South Australia Company laid out the 'No-orlunga Township' at the 'Horseshoe', Onkaparinga River. The name "No-orlunga" supposedly comes from the Kaurna word meaning 'fishing place'. In the early years of settlement, the surrounding area was cleared for wheat farming, and a flour mill was built in the town in 1843 along with wharves used to transport produce down the Onkaparinga River to Port Noarlunga via barge. The town also had a stone bridge across the Onkaparinga, making the town a focal point for travel further down the Fleurieu Peninsula. 1856 saw the formation of the Noarlunga district council. By the 1860s the town had a post office, council chamber, 6 churches, a public pound, 2 hotels, mill, brewery and brickyard. WILLIAM ABRAHAM EDWARD ROBINSON (birth registered at St Arnaud, Victoria, in 1873; died 26 June 1950 at Northcote, Victoria). Benjamin Robinson died at Stin Victoria in June 1899, aged 78, his death certificate noting his parents as Thomas Robinson and Sophia Ruddle Todd. Mary died on 26 September 1906 at St Arnaud. Leonie Cassidy of Cairns [per eMail, 23 November 2010], great-great-granddaughter of John Robinson, is researching Benjamin Robinson. W Robinson [per eMail, May 2011] seeks information on the "Robinson Family Ancestry - Charlesmont, Armagh, Ireland", noting a similarity of family names [between those of this author and] his ancestors, Benjamin Robinson and Elizabeth Blevans of Armagh, Ireland. "The surname Blevans is clearly written on bmd certificates in Victoria. But the correct spelling may be Blevins, difficult to know. My great grandfather was Joseph Robinson born approx 1830 in Charlesmont, Armagh Ireland, parents Benjamin Robinson & Elizabeth Blevans. To date, I haven't found any brothers and sisters. Joseph Robinson death certificate noted that he was in the Australia colonies for 44 years. Checking shipping records, I found the vessel named "Salsette" with a Joseph Robinson part of a Robinson Family that arrived in Victoria 2 January 1841 from England. The Robinson family is as follows: Benjamin Robinson (age 39) and Elizabeth Robinson (age 39), Ruth Robinson (age 18), William Robinson (age 16), David Robinson (age 15), James Robinson (age 14), Joseph Robinson (age 12, possibly my great grandfather), Annie Robinson (age 10), Charlotta Robinson (age 8), Margaret Robinson (age 6), Elizabeth Robinson (age 5) And Benjamin Robinson (age 3). I am writing to you to seek any information that you may have came across in your research that may be matched to this particular family from Armagh, Ireland." Wendy Walker, researching the same lineage, also sent a very interesting eMail [30 July 2011] asking for comments on her Robinson lineage, especially whether tere was any 'fit' with the other lineages. BENJAMIN ROBINSON (born in Armagh, Ireland, c1838 [per Salsette logs], born in Armagh, Ireland,1837-38 [per children's birth certificates]; died at Melrose, South Australia, in February 1875; married Sarah Jane Williams [daughter of JOHN WILLIAMS and sister of Eliza Williams (above)] at Angas Park, South Australia, on 7 October 1859, with issue born near Maldon and St Arnaud in Victoria; great-grandfather of Wendy Walker). JOSEPH CHARLES ROBINSON (appears to have survived early childhood). Joseph's wife Eliza Robinson née Williams died at Moyston, Victoria, in November, 1867. If Wendy Walker has the correct Joseph Robinson, and if he is brother of the Benjamin below, he died in 1884 in Victoria, son of BENJAMIN ROBINSON and ELIZABETH BLEVINS; W Robinson observed that Joseph Robinson's death certificate noted that he was in the Australia colonies for 44 years. BENJAMIN ROBINSON (born 26 February 1862 at St Arnaud, Victoria; great-grandfather of Wendy Walker). Benjamin and Sarah Jane Robinson returned to Angas Park, South Australia, about 1863, and remained there until about 1867. Benjamin was a brewer, and, briefly, a publican. They shifted north, to Melrose, about 1867-68, where Benjamin began a brewing business. He died there in February, 1875, and is buried in Melrose Cemetery. JOHN ROBINSON (born 1861) . William Robinson (who is buried in the churchyard of S Barnabas CoE, Oberon NSW) was born c1808/9 at Manchester, England. William was granted a Ticket of Leave on 28 April 1832 and his Certificate of Freedom on 12 January 1833: the latter detailed that he had been transported on the England (master Reay) in 1826 [the England arrived in Sydney on 18 September 1826], that he had been a baker born in Birmingham in 1809, that he had been tried in Warwick Quarter Sessions on 2 January 1826 and sentenced to seven years for picking pockets, that he was 5' 8¼ " height, ruddy complexion (slightly freckled and pock[marked], brown hair, grey eyes, had a scar on the back of little finger of left hand and a scar on forefinger of right hand from being broken. On 20 March 1837, at Goulburn Plains NSW, he married Jane Margaret Stilwell. Jane, born in Sydney on 11 May 1821, was the daughter of convicts JOHN STILWELL and JANE JONES, convict (later married John Webster), both of whom arrived in the colony aboard the Broxbornebury on 28 July 1814. [Jane Jones had previously embarked the transport Emu which sailed on 12 November 1812, captured by American pirates and dumped in the Cape Verde islands, returned to England in October 1813 and dispatched again on the larger Broxbornebury on 22 February 1814; she met fellow convict John Stilwell on board]. Jane later married John Webster. … In the 1828 census he was listed as being stationed at the Hyde Park Barracks. He married Jane Stilwell in 1837 at Goulburn Plains Courthouse when she was 16 and he was 25 years. Her mother Jane Webster and her step-father John Webster, gave consent to the marriage. Jane`s family lived at Goulburn at the time of their marriage and William lists Goulburn as his place of residence on their marriage certificate. William and Jane lived at Kelso from 1853-54 and later William acquired land at `Melville Park` Porters Retreat and brought up their family there. William and Jane lived on the farm until they died. William Robinson built St Barnabas Church which was dedicated as an Anglican Church in 1859. William & Jane had 16 children and 12 children survived. MARIA ROBINSON (born 13 September 1864 at Kelso Roxburgh or Black Springs (birth registered at Bathurst); died 16 February 1951 in a private hospital, Kensington. buried Rookwood Cemetery, Rookwood; married Sampson Taylor Harvey on 2 August 1882 at All Saints Cathedral, Bathurst [photo available from Marie Cribbin]). Jane Robinson née Stilwell died at Swashfield on 10 January 1885, aged 63 years, and was buried in the CoE churchyard in Oberon on the 12th instant. William, her husband, died at Native Dog Springs Creek on 20 January 1887, aged 76, and was interred two days later. Their deaths were registered in the Macquarie and West Macquarie district respectively but neither had parental details. On his Goulburn marriage certificate, William Robinson born 1809 appears surnamed Robson, "free by servitude". The marriage was witnessed by Jane Stilwell's mother and step-father John Webster. Apparently John Stilwell had disappeared towards India some seven years previously. PHILIP EUGENE ROBINSON (birth registered at Bathurst in 1883; death registered in Sydney in 1962; marriage to Annie May Beard registered at Nyngan in 1909; the 1936 Electoral Roll shews Phillip [brickmaker] and Annie [home duties] at 150 Bourke St., Dubbo, by 1937 Phillip [labourer] and Annie [shopkeeper] were at 35 George's River Rd., Croydon Park, in 1943, 1949 and 1954 Phillip [ironworker] and Annie [home duties] were lited at 238 Gardeners Rd., Kensington). The death of Jane Robinson née Crampton was registered at Bathurst in 1911. MAY D ROBINSON (birth registered at St Peters in 1905). …I am the grandaughter of Eileen Robinson dob 5/5/1901 her father was william maurice Robinson and his father Joesph Robinson and Jane Crampton and his parents were William Robinson and Jane Margaret Stillwell.I would like any other information about the Robinsons from William and Jane Stillwell back. …there is a plaque to Joseph Robinson and Jane Crampton on the Bathurst Heritage wall.. This family interests the author because of the number of families known to have emigrated from the Enniskillen-Trillick-Kilskerry region of northern Ireland to the Oberon-Cowra-Orange district in NSW. The family were Wesleyean. They dispersed somewhat over south-eastern Australia; for further details refer to the source correspondent, Lyndall Kirchmajer. The father may have died c1861. This information is per David Atkinson of Whangarei, New Zealand (21 May 1990). JOHN WILLIAMSON (born circa 1865, died 1900, Greymouth, New Zealand; married c.1888, Greymouth to Sarah Little Taylor, four known children). … I have photographs of my great-great-grandparents John and Esther Bickett and some of the Atkinsons if you would like me to send copies of them to you by email attachment. Best wishes, Heather Saunders, …. Sarah Williamson, born in 1851 at Drumnagoon near Portadown and Lurgan, married James Atkinson (born 1848) at Seagoe Church near Portadown in 1873. Sarah's family lived on the townland and were farmers; they were Quakers. Sarah Atkinson née Williamson died in 1925 at Masterton, New Zealand. Her husband James died the following year. Sarah was the great great grandmother of David Atkinson, 50 Crawford Crescent, Kamo, Whangarei 0101, New Zealand (21 May 1990), who is able to supply a more extensive history. Some of his Atkinson relatives visited Drumnagoon in 1930 and again in 1946. They met with William Williamson and his family. David would like to hear from other rresearchers. He has written to Harry Wellborne, who advertised an interest about Williamson in Ireland, however they were unable to make a connection. Esther Williamson, born circa 1857, married twice. Her first marriage was in 1882 at Greymouth, New Zealand, to John Atkinson (brother of James Atkinson of Tarson, Seagoe parish, near Portadown). Esther's second marriage, in 1901 at Lumsden, New Zealand, was to Harry Dagg. There were no children from either marriage. Esther Dagg née Williamson died in 1938 at Lumsden, New Zealand. Annie Williamson, born circa 1862, emigrated to New Zealand about 1884/5. In 1889 at Lumsden NZ Annie married Edward Millichamp; the couple had no children. Annie Millichamp née Williamson died in 1904 at Lumsden, New Zealand. John Williamson died in 1900 at Greymouth NZ. Some other families are known, but not yet filed on the Web.